Open Enrollment 2018 begins on November 1, 2017. If you need insurance for 2018, the open enrollment period begins on November 1, 2017 and ends on December 15, 2017. During this period, you will be able to buy a health plan for you and your family through the different marketplaces. You can also find out if you apply to get tax credits. What if you had insurance during 2017? Get ready to confirm, update, change or cancel your plan for 2018. It is important to update your income and household information. Whether you’d like to keep your current health plan or change to another plan, you will have to get in touch with your broker, insurance company or the Marketplace. Any changes to your financial or household information should be reported as well. I don’t apply for tax credit, can I buy health insurance at any time? No. 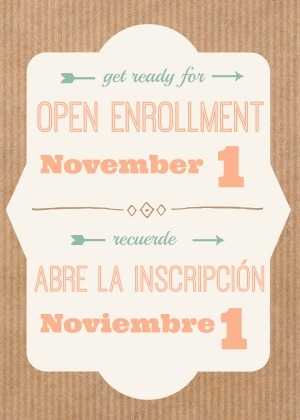 You must get your healh plan during open enrollment. You can only buy health insurance during Open Enrollment. Unless you qualify for a Special Enrollment Period. The Special Enrollment Period allows you to get a health plan outside the Open Enrollment but you qualify with a special event.